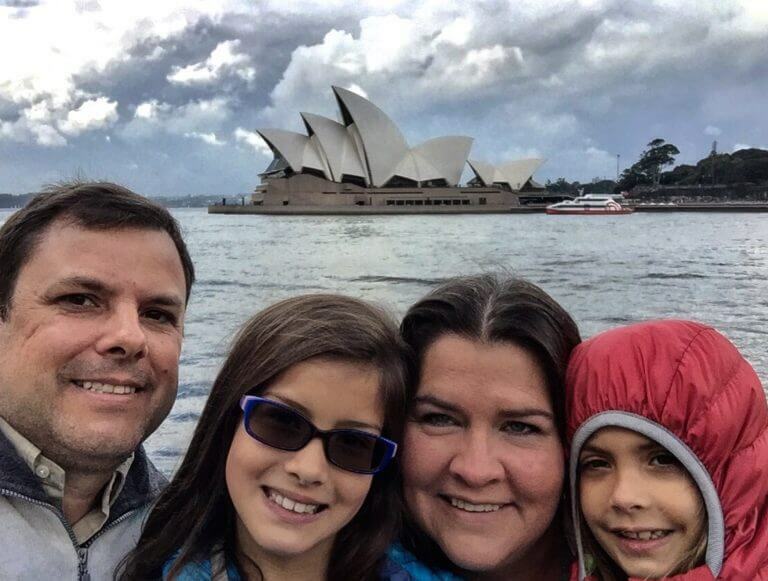 This Family Spent 25 Days in Fiji & Australia – Hotel Points Saved Them $4,000 on Lodging! Dennis is our newest reader success story to show folks it’s possible to travel without spending a lot of money. A big thank you to Dennis for sharing his story! My name is Dennis Triana. And I have been involved in the miles & points hobby since 2000. But, it wasn’t until 2013 that I discovered Million Mile Secrets and took this hobby to an entirely different level. I’ve been to 23 countries, and all 50 US States, with the help of miles & points! 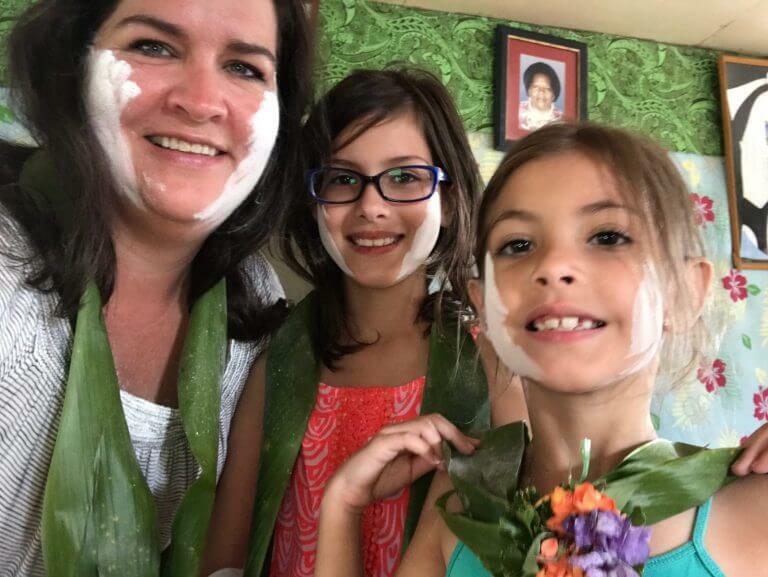 To take a 25-day trip to Fiji and Australia almost entirely on miles & points with my wife Maria, and daughters Zoe and Mia. So, I would need airline tickets for 4 people from our home in Miami, Florida, to all of our destinations. And then all the way back home. It took us ~2 years to accumulate all the points necessary for flights for 4 people, and the hotel points for lodging. For the flights, knowing we wanted to go to Australia, I began with the Alaska Airlines award search on their website. Alaska Airlines’ search engine is an extremely useful tool, and lists almost all of their partners in the award searches. So, I looked at all the flights that flew to Australia from Los Angeles. I saw Alaska Airlines’ partner, Fiji Airways, flies to Sydney from Los Angeles WITH a stop in Nadi, Fiji. Using the generous free stopover perk, I booked 4 tickets from Los Angeles to Sydney, Australia, with a 5-day stopover in Nadi, Fiji, for 40,000 Alaska Airlines miles per person. This is huge, because for 1 award redemption, we are getting 2 “trips of a lifetime.” Being from Miami, I still had to get us to Los Angeles. So, I booked 2 tickets for 12,500 Alaska Airlines miles one-way each on American Airlines. And I paid for the other 2 tickets for ~$199 per ticket. Now that I had the flights to Sydney (with a stop in Fiji for 5 days) booked, I worked on intra-Australia flights. Using the British Airways award search, I booked 4 one-way tickets from Sydney to Melbourne for 4,500 British Airways Avios points per person on Qantas. This was easy with plenty of flights available. And I really capitalized on the distance-based award chart. The next series of flights was Melbourne to Perth, in Western Australia. Using American Airlines’ award search, I found a non-stop flight on American Airlines’ partner Qantas. American Airlines charges 10,000 miles for any intra-Australia flight, even if there’s a connection. This was great value, because this same cross-country non-stop flight on Qantas would have cost $313 per person at the time of booking! The next set of flights was Perth to Darwin, Northern Territory. Once again, I used American Airlines miles and found non-stop flights for the same 10,000 American Airlines miles per person on Qantas. Again, this was tremendous value for the miles used, as the prices for this flight were $345 per person at time of booking. It was better to use American Airlines miles instead of British Airways Avios points, because all the flights had connections. British Airways charges per segment, whereas with American Airlines, it’s the the same amount of miles from origin to destination. The final flights were from Darwin to Miami. Again, I used American Airlines miles to book the long flight home that took us from Darwin to Sydney on Qantas, Sydney to Los Angeles on American Airlines, and then Los Angeles to Miami. This final leg cost us 40,000 American Airlines miles per person. Between my wife’s account and my account, we had enough American Airlines miles. Plus we each got 10% of our redeemed miles back since we both have the Barclaycard American Airlines Aviator Red card. Since you can only get a maximum of 10,000 miles back per year per account on American Airlines, I booked some flights at the end of 2016. And then the remainder of our intra-Australia flights at the beginning of 2017 to get the most miles back. The first accommodations were our 5 nights in Fiji. I applied for the Chase IHG card when it offered a 70,000 point sign-up bonus (no longer available). I booked a total of 4 nights at the beautiful InterContinental Fiji Golf Resort & Spa. I used my free anniversary night that comes by holding the card for our first night. Then the following 3 nights were 40,000 IHG points per night on IHG’s website. I had my credit card sign-up bonus. Then the remainder of the points came from the promotion IHG ran that required mailing in 3″ x 5″ index cards. That promotion alone earned me 60,000+ IHG points. Another valuable asset to holding this credit card is IHG Platinum elite status. This gave us a complimentary upgrade to a beachfront room that was only steps away from the beautiful Fijian beach that the 25-acre resort rests on. The total cost of our 4 nights at the Intercontinental Fiji Golf Resort & Spa was $0. The cost would have been ~$319 per night or ~$1,276 total if we did not have points or a free night to redeem. Our final night in Fiji was at the Tokatoka Resort which is across the street from the Nadi International Airport. I paid ~$86 after I used a 15% coupon on Orbitz. In Sydney, we stayed at the Park Hyatt Sydney for 2 nights. It was a 30,000 Hyatt points per night on Hyatt’s website, which I transferred from my Chase Ultimate Rewards account. This hotel would have cost us $759 per night, or $1,518 total. 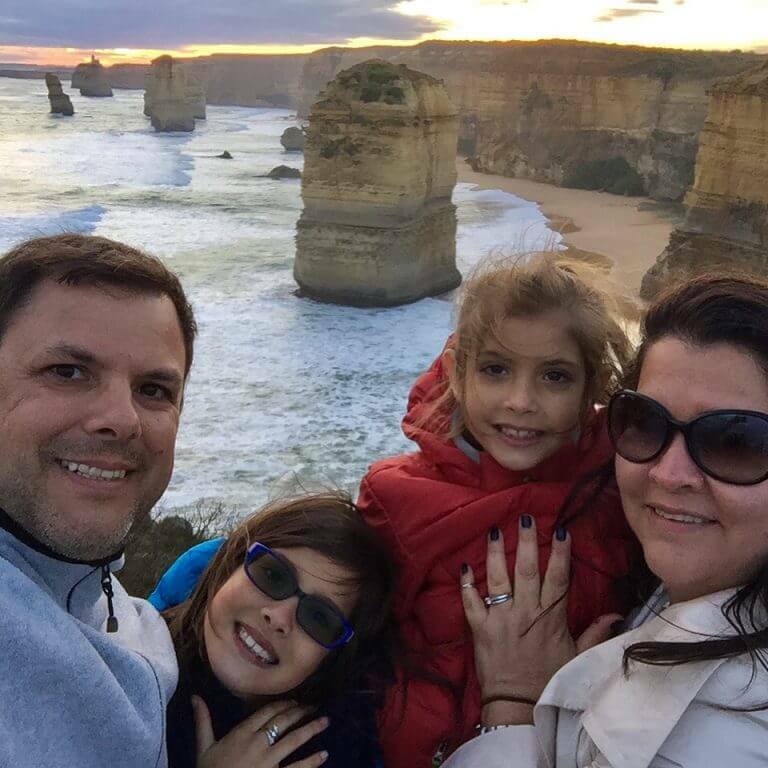 In Melbourne, we stayed in 3 separate hotels along the Great Ocean Road which I booked on Orbitz, and once again, used 15% off promo codes to save. In Perth, we stayed for 5 nights at the Hyatt Regency Perth. I used Points + Cash here which cost 6,000 points plus $75 per night. I transferred the points needed to Hyatt from my Chase Ultimate Rewards account. We got a free upgrade and free parking because of my Explorist elite status from a Hyatt status match because I hold the Chase IHG credit card. We also had access to Hyatt’s Regency Club because of my status, which saved us money with free breakfast and evening finger foods. The cost of this hotel would have been $258 a night or ~$1,280 total. Instead we paid 30,000 points and $375 total. In Darwin, we stayed 5 nights at the Travelodge Resort. I booked 4 nights on Orbitz using another 15% off code. The 5th I booked through the Chase Ultimate Rewards travel portal for 9,046 points. The total lodging cost I actually paid for our 25-day trip was ~$1,390. The actual cost for all lodging if I did not have points to redeem would have been ~$5,376. Finding award flights for 4 people from Los Angeles to Sydney with the free stopover in Fiji, and the Darwin to Miami return flight. The way to solve this was to make sure I booked each segment almost a full year in advance the moment the flights opened up. This is imperative if you are booking flights for family travel. 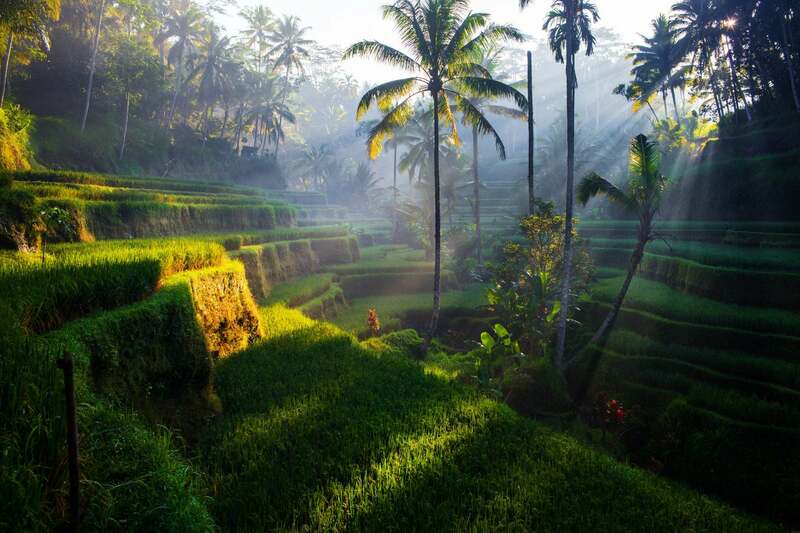 By booking the day the flights become available, you increase your chances of finding open flights with the most favorable connections and aircraft. Another challenge was finding affordable car rentals. I always like to rent an SUV or minivan for travel, because it’s more comfortable and better for viewing as we drive. After multiple attempts with all sorts of promotion codes, and reserving and then canceling as the prices dropped, I was able to hit the price point I wanted. I ended up renting 4 different vehicles in 4 different cities for a combined total of ~$796. In Fiji, a definite must-do is a tour with Sigatoka River Safari. This is a 5-hour tour where a jet boat takes you deep into the Fijian central valley to visit a local village. A welcome ceremony takes place where the village chief makes us part of the village, and then a kava drink is created and drank. After, the village had a full buffet lunch waiting for us where we all ate, and then music and dancing with the local villagers. This experience was very unique. We all loved it, and highly recommend it. 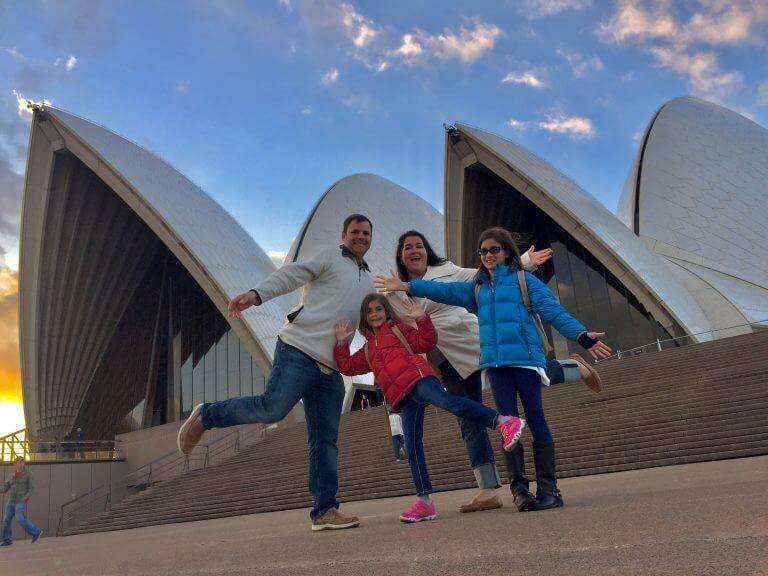 In Sydney, walk around Sydney Harbor, from the Park Hyatt Sydney to the Opera House. Also, the food vendors and street markets in the Rocks area, which is only a couple of blocks away from the Park Hyatt Sydney. In Melbourne, along the Great Ocean Road, I would recommend renting a cabin at Kennet River Holiday Park. Inside this park and surroundings, wild koala bears are everywhere in the trees above you. We stepped out of our cabin, and only walking a few steps, put us in the midst of these koalas! Great Fishing in Darwin, Australia! The city of Perth is just a wonderful, joyous city with excellent eats, especially Asian cuisine. I would recommend going to the Perth Aquarium. This is great for the kids, and they even have a large walk-through tube that goes through the huge aquarium that is full of sharks and stingrays. 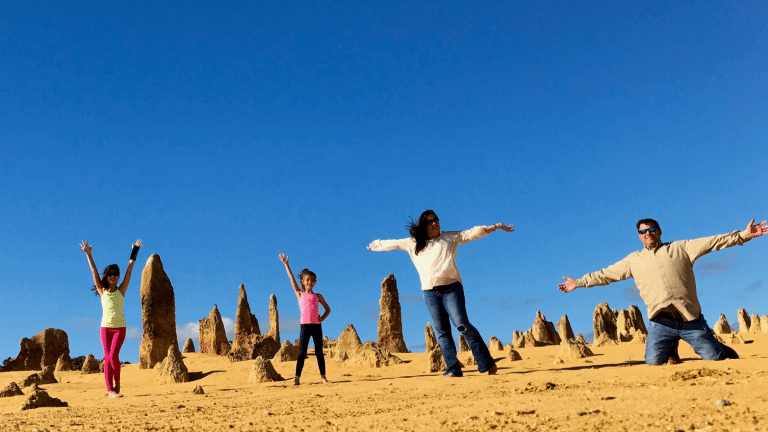 Also, I would recommend taking the drive up to the town of Cervantes to visit Pinnacles National Park, and surf the Sand Dunes in the town of Lancelin. Finally, Darwin is a wonderful town of about 80,000 people. The entire Darwin waterfront is warm and welcoming with great restaurants and atmosphere. We all fell in love with Darwin. And they even have family movie nights twice a week where a large outdoor movie screen is brought out on the waterfront lawn, and all the families come to watch as they sit on beach towels and sleeping bags. The movie playing while we were there was “Moana.” Our daughters loved every minute. A drive to Litchfield National Park is a must. We all went swimming in the many natural springs with many beautiful flowing waterfalls. This place was magical. 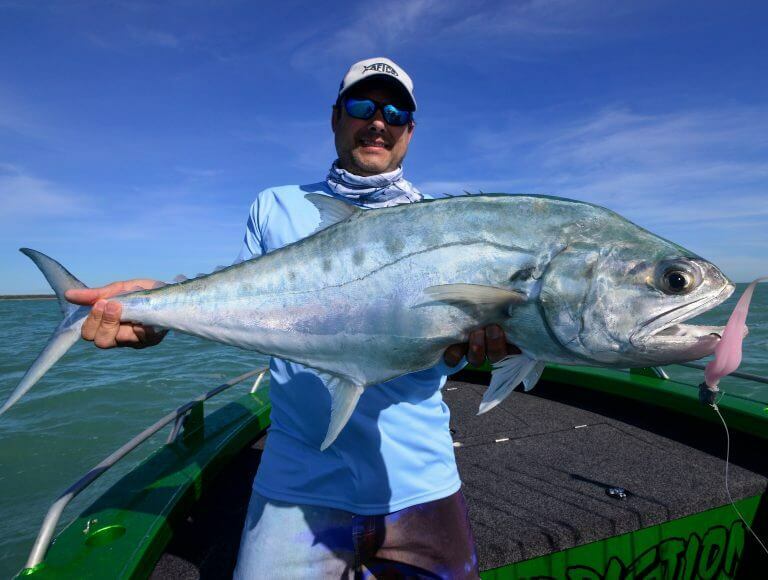 Lastly, for any fisherman readers, Darwin is a superb fishing destination with multiple species available to target. I got tired of catching so many fish! I learned that a trip of this length is achievable for a fraction of the cost thanks to miles & points. I also learned the importance of close personal bonding with your family. In our hectic everyday lives between work and school, life goes so fast. But, being with my wife and daughters every waking moment over the course of 25 days was so rewarding. From 9 flights, 4 car rentals, and 25 hotel nights, sharing all of these experiences together will last in our memories forever. Start planning early! I like to pick our destination a full year and half early. That way I can plan my strategy on which airlines are going to get me there. Then, I know how many miles it’s going to require. We will have plenty of time to apply for the right credit cards and begin stockpiling the miles we need. I always book one-way flights, never a round-trip. I find it easier this way because I can use different airlines and different mileage programs, and it allows us to return from a different city altogether. Basically, you have much more flexibility. For those that haven’t taken a miles & points trip yet, do it! Go at your own pace, don’t get discouraged with all the information, and don’t be afraid of applying for credit cards. Having multiple credit cards actually help your credit. Ignore those that say otherwise. My credit has never been as high as it is now since getting into this miles & points game. Follow and read Million Mile Secrets, and ask questions. Life is short, and it’s a big world out there full of dream destinations that are easy to get to, thanks to the world of miles & points! Hi, any chance you could give a more comprehensive list of the places you visited? 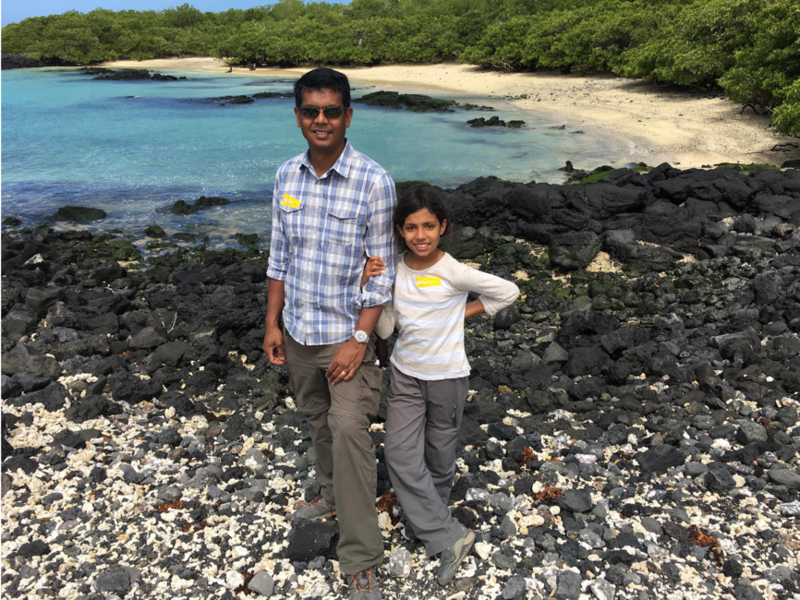 Your article was very timely for me because I am planning a similar family trip in a year, and I would love to know about the most amazing places you visited. I know there are some in the article, but I’d love to get the complete list! Hi Shan. Email me at fishtheworld11@gmail.com and I’ll give you my itinerary. Hello, when you got Regency Club access at the Perth Hyatt because of your explorist status, did you get club access using one of your 4 certificates that come with explorist status or did they just give you club access because you were explorist. I just got explorist status (no idea how) and I don’t see club access as a regular perk. Thanks for your response. Hi Pauline. Thanks for reading. I used one of my 4 certificates that comes with explorist status. That one certificate is good for your entire stay. Wow, you did amazing. Thank you for all the information. How did you get enough Alaskan Airline Miles? Hi Ebene! Thank you for reading my interview. Good question. Since we needed 160,000 (40,000 miles each person) for four of us, our plan was for my wife and I to each reach 80,000 miles. Then, we would book two separate transactions for two tickets. One adult, and one child. So, both my wife and myself applied for the Bank of America Alaska Airlines Credit card to get 25,000 miles signup bonus for each of us. We then would go through the Mileage Plan shopping mall to make any purchase that needed to be made, including everyday items we would normally buy anyway. We would really maximize the Mileage plan shopping mall anytime bonus mile opportunities would come around. Usually around the holidays. We each also signed up for the dining program, which gave us 3,000 miles each on our first dine over $25. Signed up for Opinion terminal for more bonus miles miles. Then what finally put us over the top, was taking advantage of a mistake fare that I found right here on Million Mile secrets. I paid $281 for a roundtrip to New Zealand last year on Qantas. I chose to credit our flight miles to Alaska Airlines, because Alaska is one of the few airlines left that still give you actual flight miles. So, giving Qantas our Alaska Airlines frequent flier number instead of any other program, gave us 21,000+ miles Alaska miles from the east coast. All four of us went on this trip to New Zealand, so we EACH got 21,000+ Alaska frequent flier miles. Ebene, I hope this answers your question.